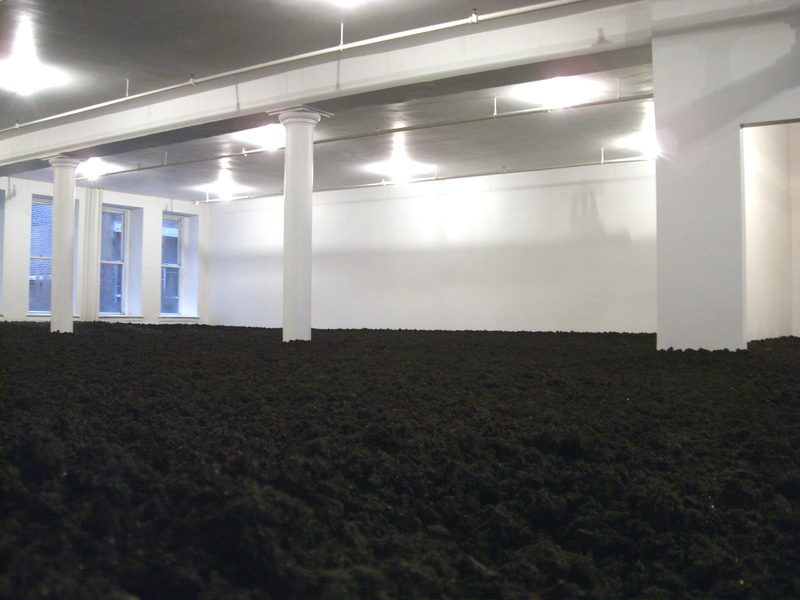 Remember when I saw that bizarre room filled with nothing but dirt a few months ago? 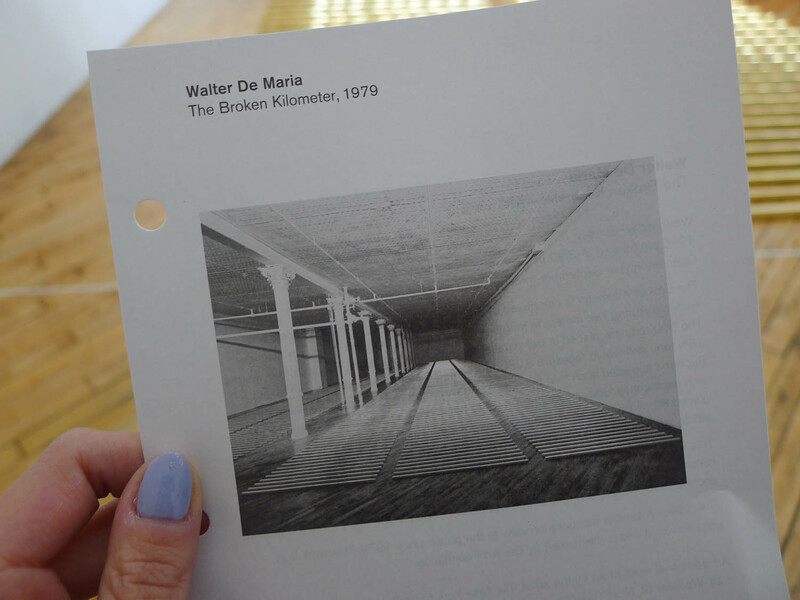 Well, I recently discovered there was another permanent art installation right by my office by the same people, artist Walter De Maria and the Dia Art Foundation. So I thought I’d pop by. 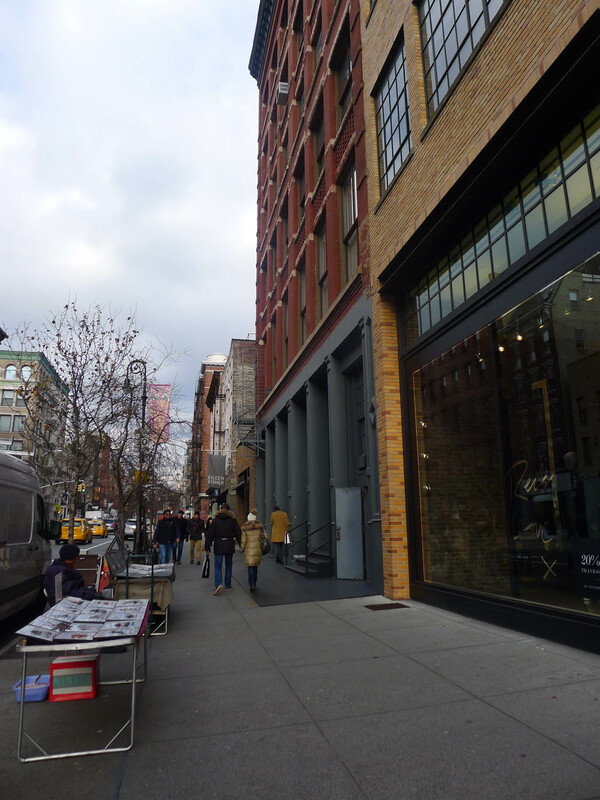 At lunch time, I danced my way around swarms of Black Friday shoppers and headed to West Broadway between Spring and Prince. As with the Earth Room, this place is purposefully hard to find. I walked past the correct doorway about 7 times before I realized where it was. Inside was the Broken Kilometer, an exhibit just as bizarre as the previous one. 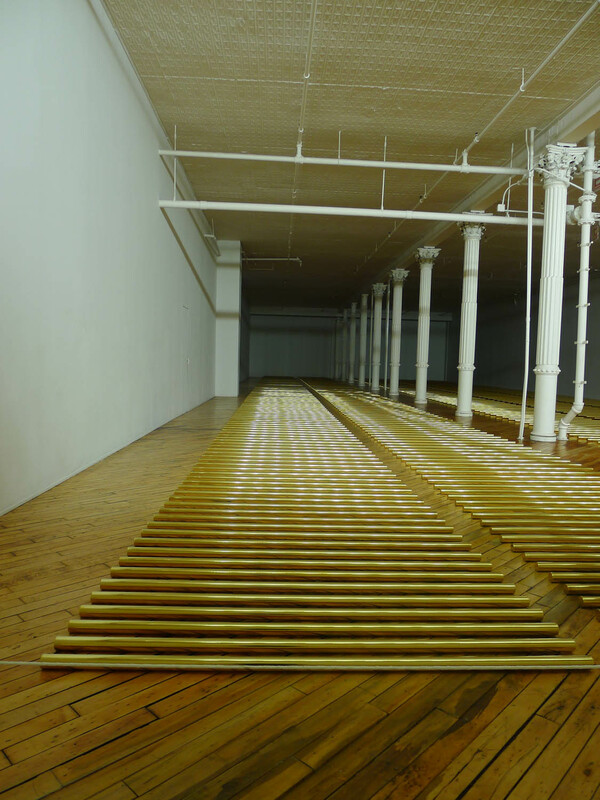 Here, De Maria presents 500 solid brass rods placed in five parallel lines stretching the length of the room. When put together, they measure – you guessed it – one kilometer. 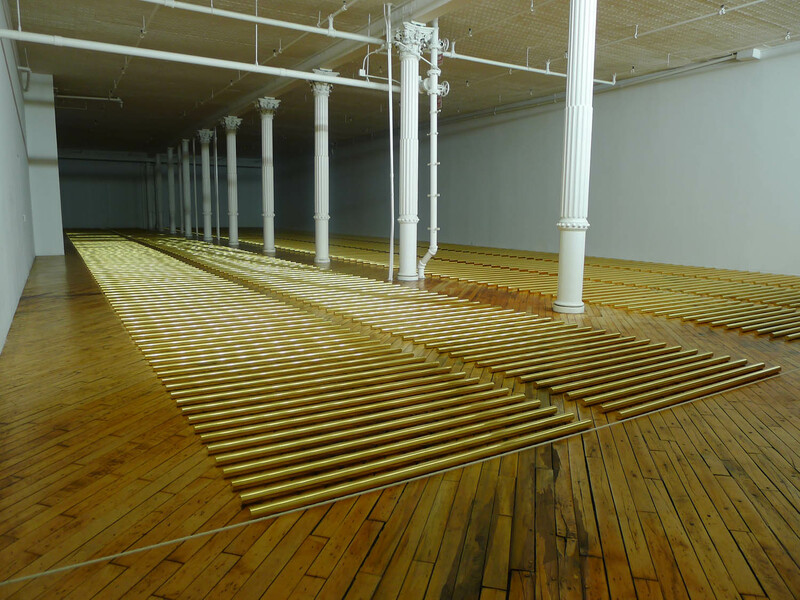 The further back they stretch in the room, the further apart they are, but because you’re looking at it from vantage point, they appear evenly spaced. It’s simple but pretty powerful, mostly because of it’s sheer size. Somehow you can’t hear any of the buzz of SoHo in this white, bright room, and those light-catching rods are strangely hypnotic. As with the Earth Room, there didn’t seem to be any explanation for it. It just seemed to be using up prime real estate, and as I explained back then, I like that sentiment. But while it was pretty cool to look at (what pretty shiny bars of gold! ), I didn’t think it was as weird as the Earth Room, which had made me laugh while also really baffling me. This was pretty but pointless.